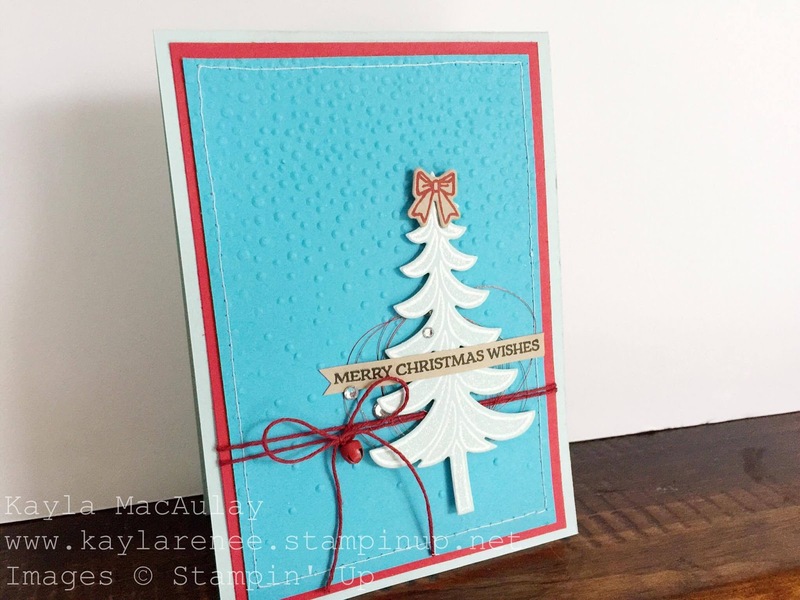 I am so excited to be participating in another great Crazy Crafters Blog Hop. This time we are CASE'ing the gorgeous Amy Koenders. I think that is the thing I love most about these great blog hops. 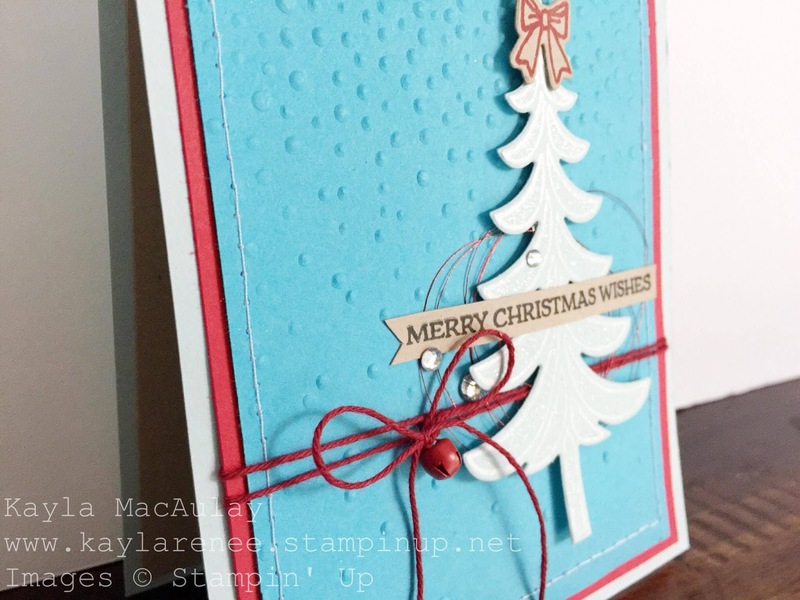 I get to discover lots of great new stampers and see and be inspired by their gorgeous work. 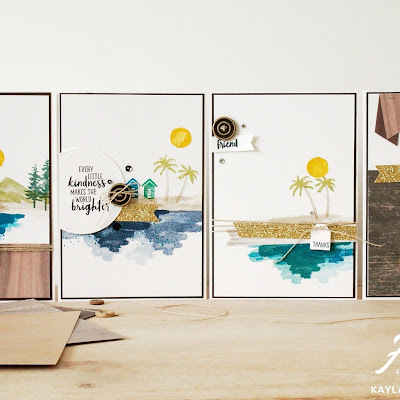 With this blog hop we had to choose a card or project off Amy's blog and CASE it (copy and selectively edit). There were so many great projects to choose from, but I ended up picking this great card below. The thing that struck me the most about this fabulous Christmas card is that it featured untraditional Christmas colours. I love the gorgeous tempting turquoise and real red with the gorgeous soft sky. It's a colour combination that I will definitely be using again! Here is my take on the gorgeous card. As you can see, I have CASE'd a fair bit of the design including the products. I just loved the card so much! 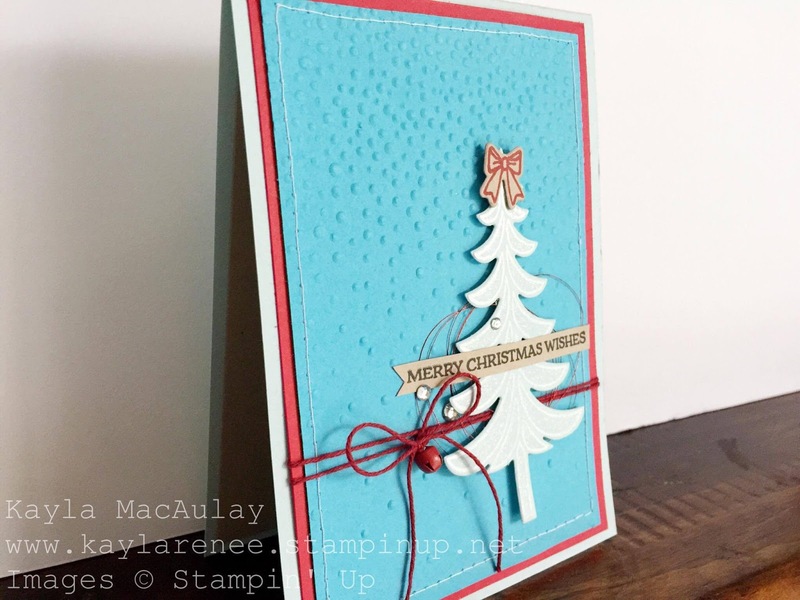 I embossed the tree in white however as I didn't have any silver embossing powder. The gorgeous stamp set featured is called Santa's Sleigh and is one of my favourites from the Holiday Catalogue. 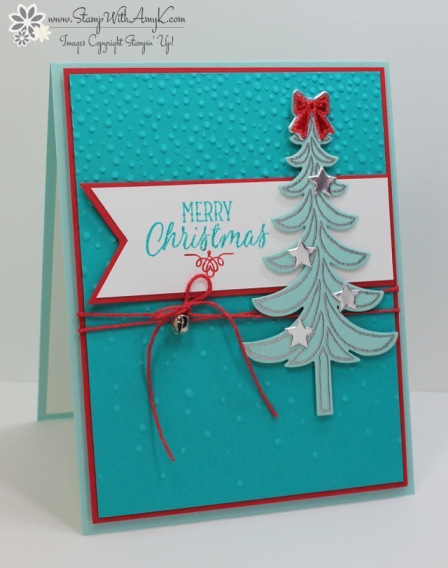 I have also added some of my favourite rhinestones, some of the gorgeous red metallic thread which can be also found in the Holiday Catalogue along with a gorgeous green and I added Wink of Stella to my tree which in person makes it really shimmery! I so apologise about my somewhat wonky stitching. I am using a new machine and to be honest I am not very good at sewing but I just love the texture that it gives. I need to adjust the tension a bit on the machine. Here's a close up of the bow and the bell. These bells are so cute and I just really want to stock up before the Holiday Catalogue retires. I especially love the red ones. I am trying to perfect my bow tying skills. I tried to 'bunny ear' technique which the lovely Vicki Hunter showed us at the Onstage. 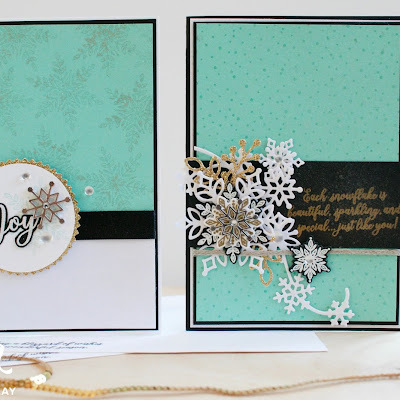 I also used some crumb cake for the inside of my card and added a stamped sentiment. 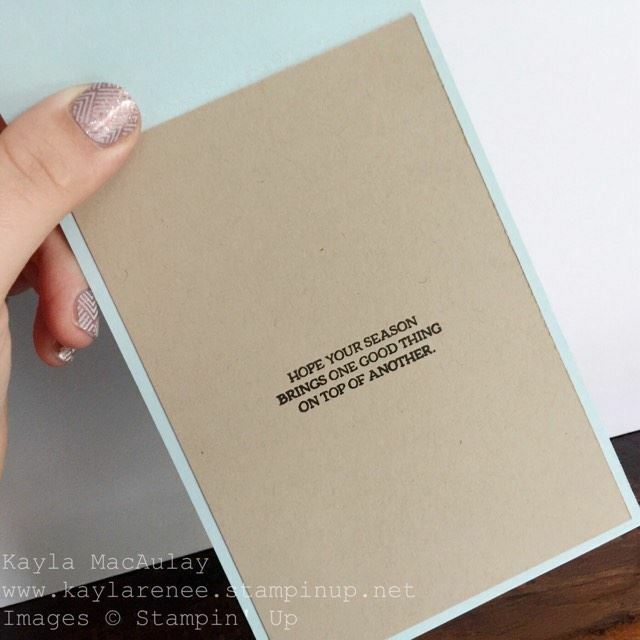 I love the cut sentiments and I love to 'dress' the insides of my cards these days. 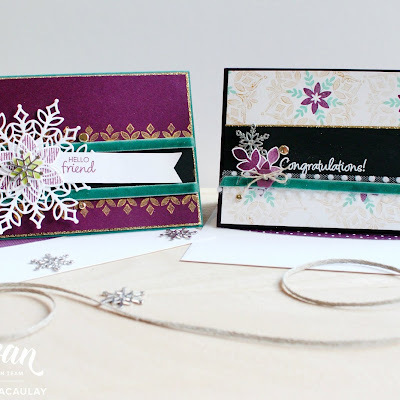 It's funny...earlier this year I had never really been a card maker until I found Stampin' Up and now I am even decorating the insides of my cards! I really hope you have enjoyed this blog post. Please be sure to check out the rest of the lovely ladies in the hop. You can check out all their blogs here and see every one else's great work.